Luna recorded two versions of it with Lætitia Sadier of Stereolab in 1995, both turned up on a single and one was included as a hidden track on the end of Penthouse. 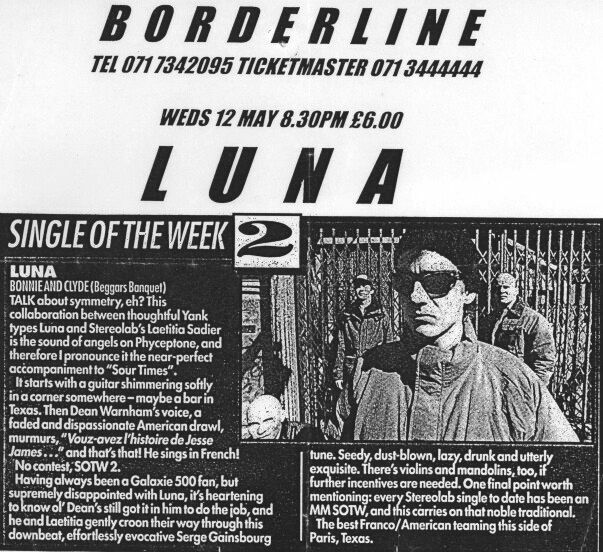 The single was awareded Single of the Week in Melody Maker. There are a stack more Bonnie and Clyde's in this post from a couple of years ago including a performance with Keren Ann and a live version from their last London show with Sonic Boom of Spacemen 3/Spectrum.